Extended Pin Chain - Roller chain with pins extending out from the side. 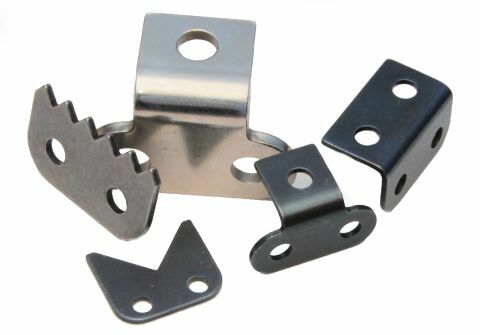 K1 and K2 Attachment Chain - Tabs with one or two holes bent at 90 degrees from the chain side plate. These can be on one or both sides of the chain. M1 and M2 Attachment Chain - Tabs with one or two holes protruding up from the chain side plates. These can be on one or both sides of the chain. Rubber Block Chain or Polymer Block Chain - Roller chain rubber blocks fitter usually to convey product down a production line. Special Attachments - Tabs with "shark tooth" edges, single point, pusher plates etc.